With a career spanning six decades and selling over 100 million records, Tom’s delighted audiences worldwide. Grammy and Brit Award winner, he’s collaborated with some of the most iconic names music has ever known. Why did you want to be a coach on The Voice? 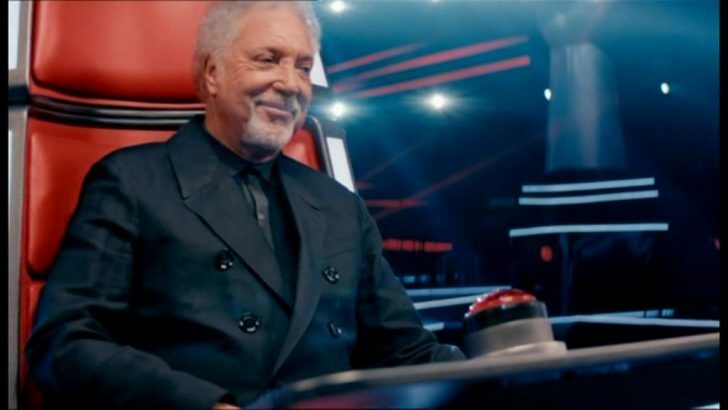 I have watched the American version and I love the fact that it is all about ‘the voice’. This show is so unique and it is a fresh idea. I am a fan of talent shows and when I watch them, I always listen out for the voice. This is the perfect vehicle and I am so glad I am part of it. Are you feeling nervous or excited? Excited. We’ve already filmed the blind auditions and I wondered what I would feel like not being able to see anybody, but I was blown away by the standard of the singers. Strong individual voices. I want to hear something different. What has surprised you about the auditions? The quality. We have all said that it’s a shame we can only pick ten artists to be in our team, as I would have loved it if I could have picked 20! I’d like to think I am a fair coach. I am always listening to see if they are in tune. People are always coming to me to ask for advice, and it’s nice to be able to give people tips. I know how much I really appreciated people giving me advice when I was younger. What do you expect from the artists you have picked? I hope they will work hard and stay true to themselves. This is an amazing opportunity for them. Do you get on well with the other coaches? Yes. For me, it was very important that the BBC got the right mix and balance. I feel we have this on the panel. We are all competitive with each other, but we also have a lot of respect for each other. We went out together on the first evening and we chatted about what we needed from this show. It was really important we met and all the coaches are great. Being a TV coach is another string to your bow! Are you enjoying the challenge? Yes I really am having so much fun. I am enjoying it a lot. I really do believe in the show and the format. Do you think you have the winner on your team? Definitely. I have got the natural voices on my team. What would I say to the other coaches? Yes it is. I am taking part in the Queen’s Diamond Jubilee concert as well but it’s so lovely to be back in Britain. Doing something like The Voice is a great excuse to come over.